I reached out to you last year about an "HTML 101 for Homeschoolers" class that I have been teaching/offering online and I wanted to thank you for helping me spread the word. We're coming up on our 2 year anniversary of the class and we've grown incredibly thanks to you. If there is anything that I can do to help you or any of your group members, please let me know! Do you think any of your students/families would be interested in this Online Chess Club that I've started for some of the homeschoolers in our group? We have regular 'open' gaming for players, online instruction for those students who don't know the game, and weekly tournaments for members. 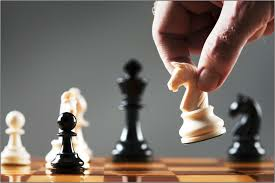 (There's even a "Strategic Thinking: Using Chess Strategies to Succeed in Life" online course). Parents can visit http://www.OlearyAcademy.com/ChessClub?from=EverestAcademy to learn more and to register their students to participate. If you have any suggestions for how to best "spread the word", it would be much appreciated! P.S. For those of your families/students who might be interested in the HTML intro, I am holding another HTML 101 class beginning in October (and again in November). Again, no cost and would love to share it! They can access THAT class at http://www.OlearyAcademy.com/HTMLClass?from=EverestAcademy - thanks again.